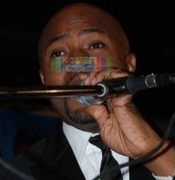 ARLY LARIVIERE TALKS ABOUT PIPO/EVENS JEAN WAR OF WORDS + GABEL BOYCOTT SITUATION & HAITI SUMMER TOUR & MARTINIQUE! NU LOOK maestro ARLY LARIVIERE talks to KOMPA MAGAZINE about the war of words that erupted between PIPO and EVENS JEAN. He also talks about the GABEL boycott situation & the Haiti Summer Tour & Martinique. *ARLY LARIVIERE COMMENTS ON EVENS JEAN/PIPO WAR OF WORDS! *NU LOOK MAESTRO ANSWERS THE GABEL BOYCOTT QUESTION! *LARIVIERE ON NU LOOK HAITI SUMMER TOUR & MARTINIQUE!